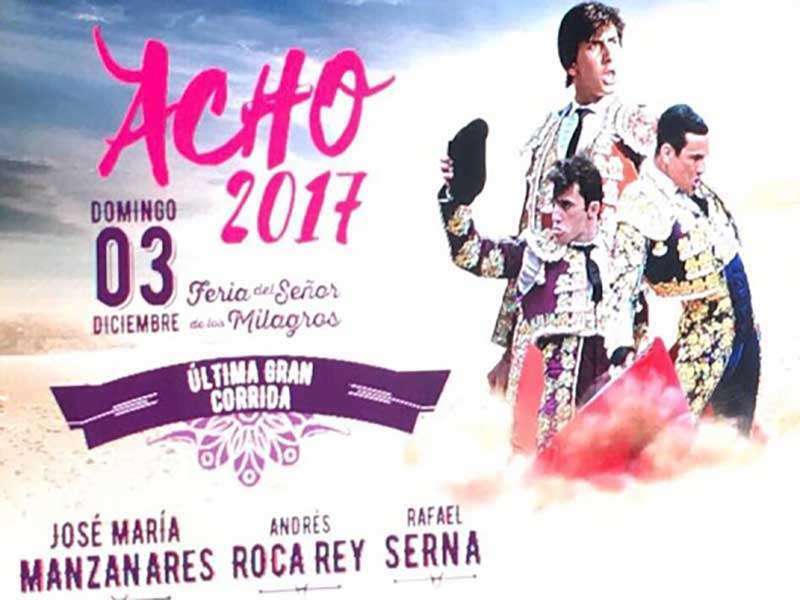 It’s this time of the year that many await and lots despise: from October 29 to December 3 the Acho 2017 - Feria Taurina del Señor de los Milagros, the largest bullfight festival in Peru, is held in Lima’s renowned Plaza de Acho where famous matadors and young talents will once again face the best bulls Peru has to offer on each Sunday during the festival. Yes, the topic “bullfighting” is controversial: supporters consider it a tradition deserving protection or even a cultural heritage; opponents, however, speak about animal torture and a vicious, bloody "sport". Whatever one’s opinion, in Peru the "Corrida de Toros" is, despite an increasing number of protesters, extremely popular. 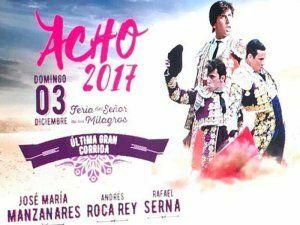 And the highlight of the bullfight season in Peru is the so called “Feria Taurina del Señor de los Milagros” at Lima’s Plaza de Acho. After Spain and Mexico, Peru is the third-most important bullfighting country in the world. Peruvian breeders devote a lot of effort and expenditures to raise their bulls and the over 40 purebred herds are looked at with pride. Over 500 bullfights take place each year all over the country that usually are sold out; for the major events celebrated and respected toreros from across the globe come to Peru. Bullfighting however isn’t an ancient indigenous tradition; it was only introduced at the beginning of the 16th century, after the Spaniards conquered the country. According to Ricardo Palma, the famous Peruvian writer, the first bullfight in Peru took place at Lima’s main square in 1538. From there on, whenever there was a special occasion or something to celebrate, a bullfight was held; first only for the Spanish’s conquerors, but later the indigenous population and the African slaves took pleasure in the spectacle as well. In 1766 the Plaza de Acho, Lima’s impressive bullfight arena was inaugurated in the district of Rimac. Today the bullring is the oldest in the Americas and after the Real Maestranza in Sevilla and the Coso de la Misercordia in Zaragoza the third-oldest in the world. Even after Peru’s independence from Spain in 1821 bullfighting remained popular. Quite often bullfight events were combined with local, indigenous festivities and celebrations or Christian processions and saints. Until today numerous smaller and larger bullfighting events take place throughout the year along the Peruvian coast and in the Andean highlands. The highlight of the Peruvian bullfighting season however surely is the famous “Feria Taurina del Señor de los Milagros" in Lima presenting the world’s best toreros from Spain, Mexico and Peru and young talents as well as the strongest and most impressive Peruvian bulls on 5 or 6 Sundays during the festival.